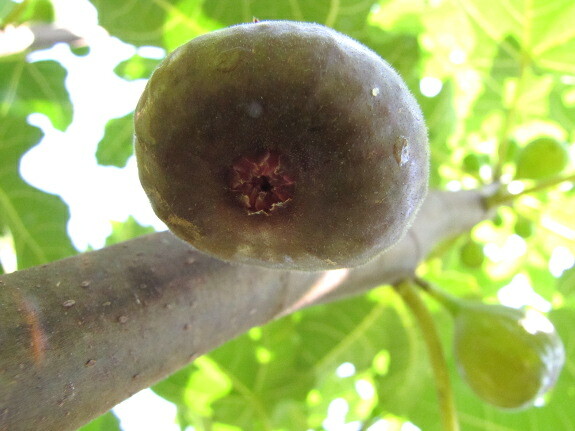 I've been watching our fig tree with an eagle eye for months, hoping to taste a fresh fig. 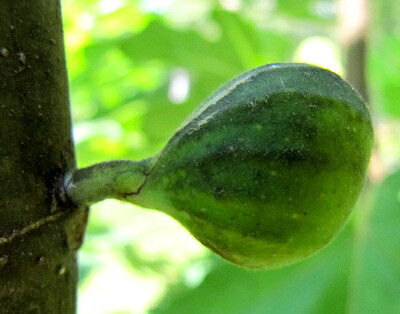 As the branches elongated, more and more little green figs popped up in the leaf axils, but none showed signs of ripening. 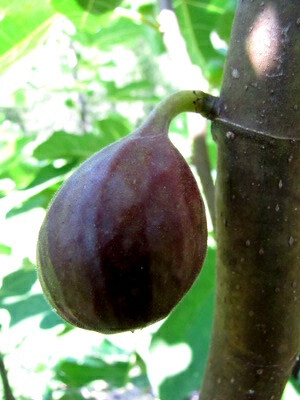 Then, seemingly overnight, a fig doubled in size, started to turn brown, and began to wrinkle and droop on its stem. 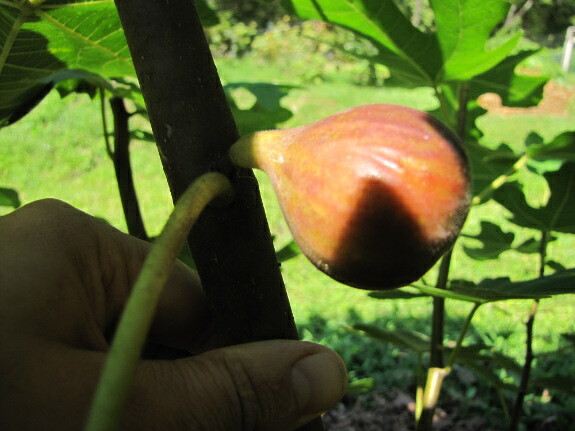 A fig that is no longer sticking straight up, but is instead hanging down nearly horizontal to the stem is a sure sign of a ripening fig. But was that first fruit ready to test? According to online experts, there are a few other characteristics to pay attention to if you don't want to pick your first fig too soon. 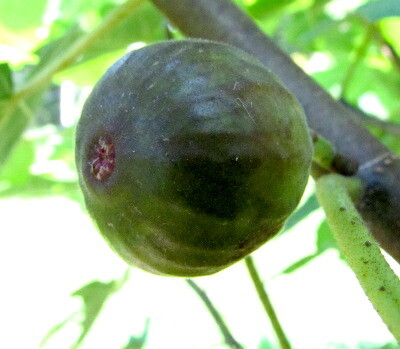 In addition to color (our Chicago Hardy fig will turn brown, but some varieties stay green when ripe) and orientation of the fruit, a truly ripe fig will show a widening hole at the end opposite the stem. As peak ripeness approaches, juices will begin to ooze from that hole, and the skin will tear slightly near the stem. Although our ripest fig is looking plump and delicious, the leaf scar end is still fully closed and there's no sign of dripping nectar or tearing skin. 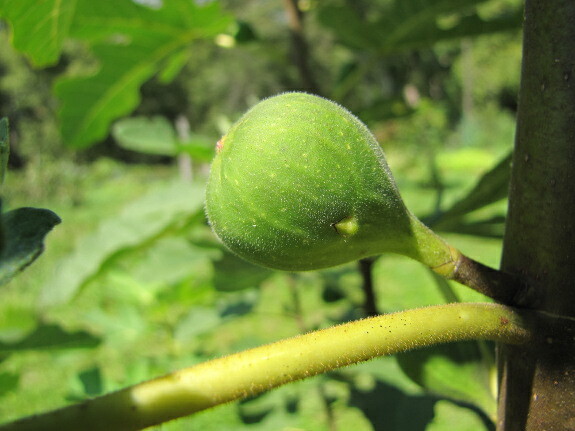 So I'll keep my eyes peeled and wait another few days for our first ever homegrown fig. Our chicken waterer keeps the flock healthy with cool, clean water.